Palm Exotica Boutique Resort & Spa set on the Highlands of Shankarpalli Hyderabad is an eco friendly unique luxury holiday resort, thoughtfully designed to charm you with its spectacular panoramic views, unparalleled choice of accommodation, dining experiences, recreational activities, Theme Park, spa & banquets while maintaining idyllic refuge of relaxation to create the perfect balance for a holiday in paradise, perfect for families, honeymooners and Corporate alike. 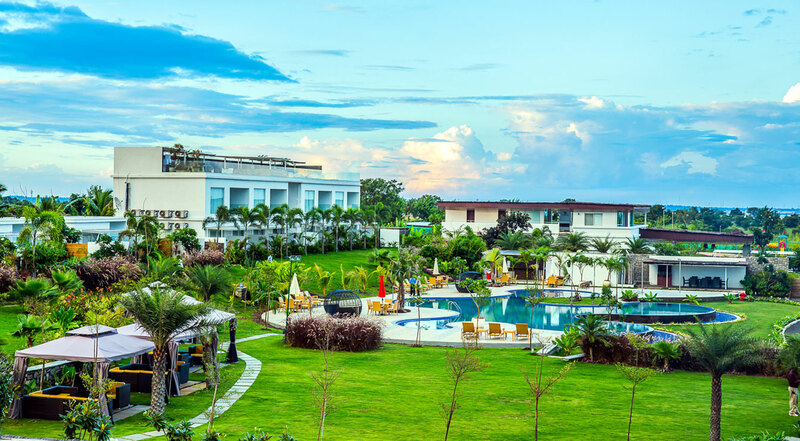 Palm Exotica Team is committed and emphasizes on offering our guests an experience that keeps all ages happy away from the hustle and bustle of the city life, yet not far off from the city making it easily accessible for a quick rejuvenating getaway. Our team, renowned for their warmth and heartfelt hospitality, look forward to welcoming you to Palm Exotica, a home away from home where you can arrive as a guest and leave as a friend. Customization & Interest Specific Planning is our USP.